Stana Martin is one of the Midwest’s foremost experts in long term care insurance. 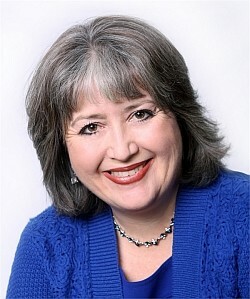 She has been a top-ranked producer for many years with extensive insurance claim experience. Prior to entering the business world, Stana earned her PhD in Communications at the University of Texas and taught for 15 years at various universities. In 1996 she left teaching, spending the next 10 years as co-owner and Vice President of Operations for a multi-practice chiropractic clinic. In addition, she developed a career as a trainer and motivational speaker. Everything changed when her grandmothers faced long runs of care. This became the catalyst for her shift to the senior care market. Stana still presents long term care seminars to the public and for continuing education credits to financial advisors, lawyers, and care community staff. For more info on seminar topics currently offered please visit www.mrsltc.com. In her spare time, Stana ride bikes averaging about 1,500 miles per year and has grandiose designs to ride across America and pedal across large sections of Europe. Hey! A girl has to have dreams….